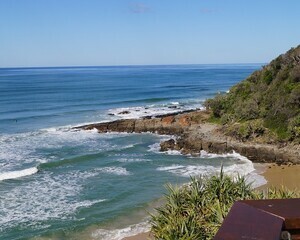 ATC Williams is proud to announce the establishment of our new Sunshine Coast office, located at 8 Pikki St, Maroochydore. Tailings transport is a fundamental part of tailings storage facilities management. It is crucial for any wet tailings management to have a hassle-free and robust designed tailing transportation. 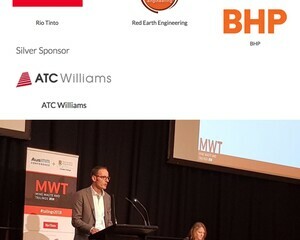 The 2018 Mine Waste and Tailings Conference was a decidedly successful event, bringing together key experts from around the world for two days of presentations and discussion. 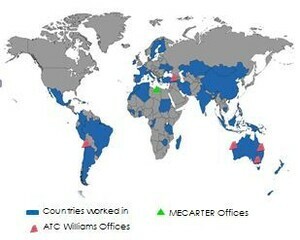 ATC Williams were official sponsors of this internationally recognised event. 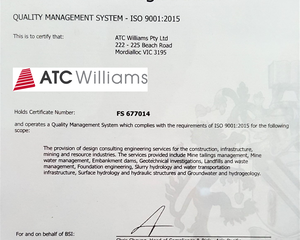 ATC Williams is proud to have joined the ISO 9001 certification family, with our quality management systems meeting the highest of international standards.